On TV in Norway: So you think you can watch paint dry? In November 2009, when the Norwegian Broadcasting Corporation (NRK) commemorated the 100th anniversary of the Bergen Line railway with a live broadcast of the train’s eight-hour journey from Bergen to Oslo, audiences were surprisingly riveted: About a million Norwegians tuned in to watch the train speed along a snowy track. Sensing an unusual hit on its hands, the NRK followed up with two more train broadcasts in 2010, each met with further acclaim. In 2011, it embarked on its boldest project yet, “Hurtigruten—Minute by Minute,” which tracked the five-day voyage of the M.S. Nordnorge as it plodded through the North Sea. Eleven on-board cameras focused here and there on a nearby fjord or a flock of seabirds, occasionally shifting to the interior deck, where crewmembers could be heard talking casually, laughing, and answering the phone. Two and a half million people—half of Norway’s population—watched the ship pull into port, breaking records and ushering in the era of slow TV. Other “slow” broadcasts followed, such as the recent 18–hour special on salmon swimming upstream (audiences complained that it was too short). 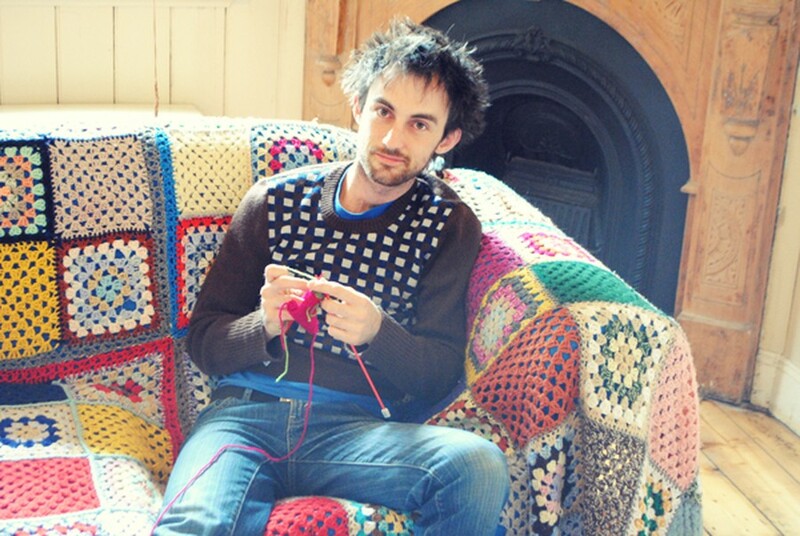 A five-hour knitting marathon will premiere on November 1. “A Day in the Life of a Snail” remains in development. And while I was hypnotized by the Bergen Line, and Hurtigruten left me touched and awestruck, none of the NRK’s offerings so intrigued me as the best-loved of Norwegian marathon programs, last February’s "National Firewood Night." Mmm. Even the name sounds great, right? Of course, "National Firewood Night" is not actually an entire night of firewood—that would be insane. Really it’s just four hours of “light programming” (this consists of mixed poetry-reading and wood-chopping segments), followed by eight hours of a fire burning in a farmhouse hearth, uninterrupted and usually unaccompanied, though sometimes overlaid with chill music or, best of all, with a sort of running commentary on the state of the fire. I could not look away. But even with the thrill and intrigue inherent in watching a smoldering log on TV for eight hours, I get the sense that the Nordic fixation with the program, and with the budding genre as a whole, goes deeper than mere entertainment value. It’s been said these marathon shows are a quiet response to an increasingly loud, violent, and unpredictable world, and even helping to heal the country after the horror of the Utøya shooting. That might be part of it. But I tend to think that, at heart, “National Firewood Night,” “Bergensbanen,” and “Hurtigruten” are about the joy of community, about sitting down with your extended family (all Norwegians are first cousins) to simply marvel at the mundane realities of life—trains, ferry boats, the fire in the hearth. It’s the stuff that fond memories are made of. Thankfully, slow TV has been making inroads in the US for years, mainly on public-access. Dirt-dull gardening and housekeeping shows abound here, PBS’s This Old House being the standout (it’s just three guys performing routine home maintenance). Antiques Roadshow has long been touted as a snooze-fest of the highest order, though its winning combination of rosewood armoires and old people is marred by the thrill of antique appraisal. Bob Ross did it best: His show, The Joy of Painting, was a study in transcendent, sublime boredom, honest and pure. His was a world of muted audio and spare set design, a world where there were no mistakes, just happy little accidents. If there was any suspense at all, it was only in finding out whether Bob was making a happy little forest or another serene mountain range. And it always turned out OK in the end. So what if it’s boring? What else should TV be, if not boring? Our own riveting story lines are filled with enough explosions, enough car chases, enough stress and anxiety—we should hardly need to watch more of it when we go home at night. Even if it couldn’t bring us together in a big Scandinavian bonfire powwow sort of way, I still think that slow TV could help us slow down our lives a little and appreciate them for the mundane action movies that they are. I have never been so thrilled by the act of doing my laundry as I was after watching "National Firewood Night."